This past week, I decided, that I would get my son some play stuff, from Kids Craft Kuwait. Now, before I even begin to tell you, why I’m SO GLAD that I did, I’d like to mention that they are worth the try and I highly recommend trying their stuff out. 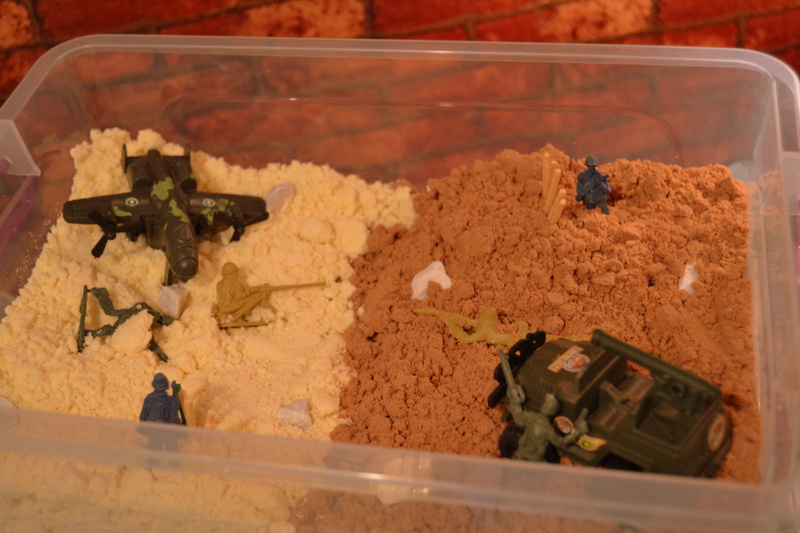 I am an absolute fan of home made play dough’s and playthings that are made with organic/edible items. 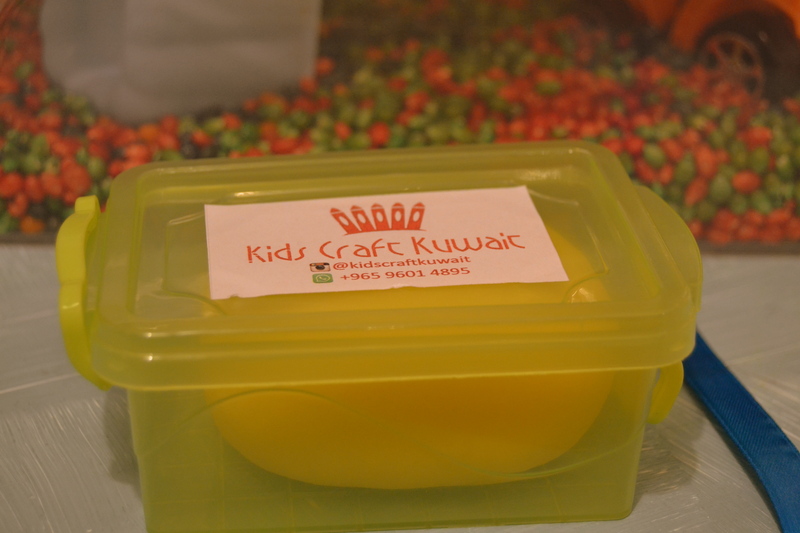 So when I saw that, that’s exactly what Kids Craft Kuwait were offering, I immediately placed my order! 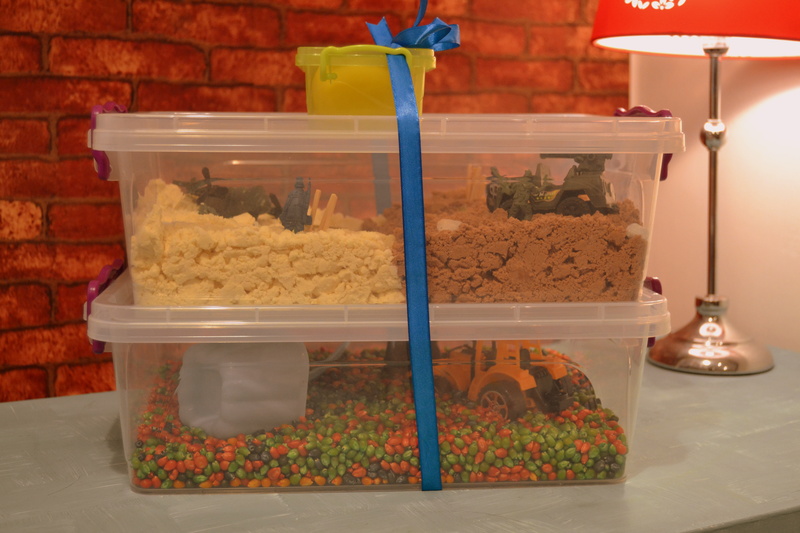 I was very excited to see their play dough, corn and cloud sand. Its something that I have been meaning to do for my son, for a long time, but time constraints always limit the amount of work I can manage sometimes. So when I decided to give myself a break and let Kids Craft Kuwait handle this, I made a good decision! 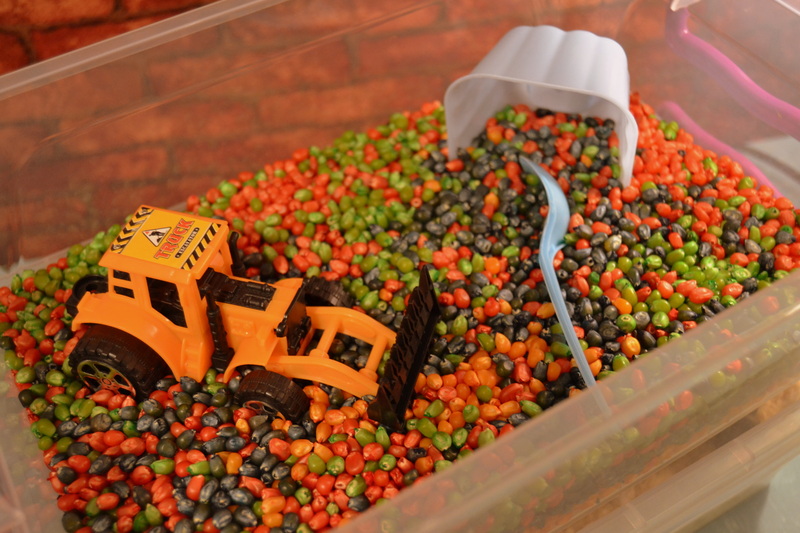 This colored corn sensory box was a HUGE hit! My son has enjoyed this the most out of these two boxes that I ordered. I customized both the boxes to my liking and I was very satisfied with how they turned out! Emina also added a complementary box of play dough to our order! All in all, this shopping experience was amazing 🙂 If you have kids and you’re living in Kuwait, you have got to try these guys. I’m already planning on trying some of the other stuff they have. Disclaimer: This is not a sponsored post. I have not earned any benefit, monetary or otherwise from Kids Craft Kuwait. All opinions mentioned here are based on my personal experience.